Osteosynthesis is the surgical treatment of bone fractures to restore full function. 4. Early mobilization of the limb and patient. Plates and screws are the most used implants in the osteosynthesis. A screw is a mechanical device that converts rotation into linear movement, as you rotate the screw clockwise the tip of the screw advances. · Application site (cortical, cancellous, bicortical). But these terms are sometimes mixed, for example, a screw might be referred to as a 4.5mm self-tapping cortex screw. A standard bone screw consists of head, core, thread and tip. · Function (Compression, Protection (also called neutralization), buttress, tension band and bridging). The instruments necessary for the implantation of all these implants (drills, taps, guides, countersink, depth gauge, screwdrivers, etc) must be in perfect condition (sterilized, sharp, etc.). 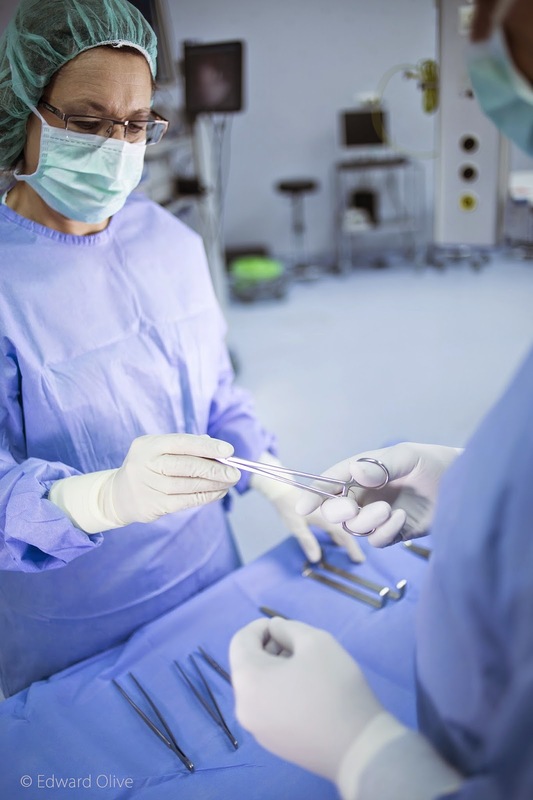 The scrub nurse has to know instrumentation and the different techniques. Protocols about all of them are useful and training is very important. The XIII National Congress of Spanish Traumatology and Orthopaedic Nursing Association (AEETO) finished the 25th April 2014 after three intensive days of work. Elena Miguel led the inauguration of the Congress. The President of the Official Nursing Association of Malaga, Juan Antonio Astorga, and the President of the scientific committee, Diego Cantalejo, also welcomed all the participants. The first day, there was a simulation exercise in Malaga´s port with “Trauma patient care in the aquatic medium” to attract the interest of participants of the Congress. During the other two days, in the auditorium of Palacio de Congresos de Málaga, all the speakers shared their latest experiences always with the motto “Traumatology and Orthopaedic Nursing: integrating science and emotions”. · In the end, dinner in one of the oldest taverns of Malaga, El Pimpi, where Elena Miguel signed on a cask as President of the Spanish Traumatology and Orthopaedic Nursing Association. The last day, after awards, Elena Miguel and Juan Antonio Astorga closed the Congress, thanking the quality and exciting participations of all. In the days following the Congress, the organizing committee have received a lot of gratitude and congratulations for the good organization.